The meme in question was intended to mock Hillary Clinton’s claim that half of Trump’s supporters fit into a “basket of deplorables.” The meme was a mock movie poster for “The Deplorables,” using an old promo image from The Expendables, featuring Ben Carson, Chris Christie, Trump and his two sons, as well as Milo Yiannopoulos and others, including Pepe the frog. Trump Jr. posted it to his Instagram account with the caption, “A friend sent me this. Apparently I made the cut as one of the Deplorables,” with the I’m-laughing-so-hard-I’m-crying emoji. “All kidding aside I am honored to be grouped with the hard working men and women of this great nation that have supported @realdonaldtrump and know that he can fix the mess created by politicians in Washington. He's fighting for you and won't ever quit. Thanks for your trust!” Trump Jr. posted. 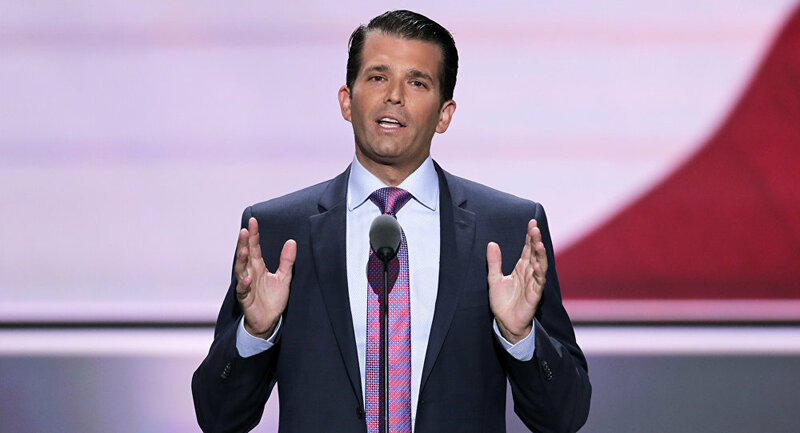 In a think piece for Vanity Fair, Tina Nguyen questioned whether, since the meme was “frequently shared” by white supremacists, Trump Jr. may be one, as well. “Pepe the Frog [is] an amphibian meme that has been appropriated by Trump’s ‘alt-right’ followers, some of whom use the image to peddle racism, anti-Semitism, and white nationalism,” Nguyen wrote. Pepe, an anthropomorphic frog, is a popular meme that originated on 4chan message boards, along with many other popular memes from Doge to Scumbag Steve. It is widely used across party lines by those who enjoy internet culture. While it has become a sort of unofficial mascot for those on the right, they are not the only ones who use it, just like the memes featuring Harambe. Originally from the comic series Boy’s Club by Matt Furie, Pepe gained popularity in 2008 with the “Feels Good Man” reaction image. From there sad, smug, angry, and a variety of other reaction-Pepes were born. Beginning in October 2014, internet users began “trading” rare Pepe memes as if they were trading cards. In the eight years since Pepe appeared, the meme has never been dubbed as racist, until this election season, as 4chan users and other trolls have been harshly critical of Hillary Clinton. A Pepe was even shared by pop star and Clinton supporter Katy Perry in 2014. Her sick Pepe was retweeted over 10,000 times and — according to Nguyen’s logic, that is a whole lot of white supremacists.